Being rich isn’t fun when your dad is a womanizer whose newest girlfriend just stood you up in front of the entire high school. Seventeen-year-old Devin Asher has had enough. Armed with a full bank account and summer vacation ahead of her, she takes a random road trip to have an adventure that will beat living in a house with a new step-mom each month. The only problem? She has no idea where she’s going. 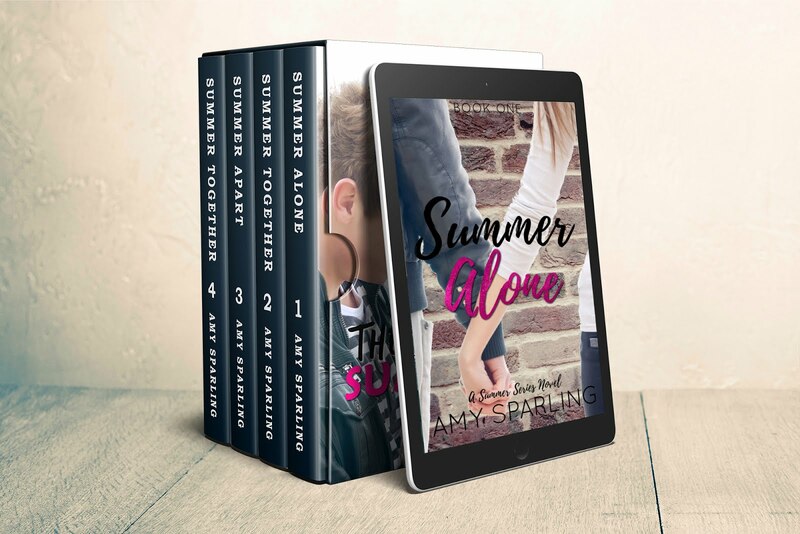 When she stumbles upon the small town of Silver Valley on a pee break, Devin runs into one of her dad’s old girlfriends—the best one he ever had. Heather takes her in and gives her a place to sleep for the night and a warm breakfast from the local diner the next morning. Here Devin meets Tobey, a handsome mechanic who’s on a mission to steal something very dear to him. Devin isn’t sure if she’s up to the challenge of breaking and entering, but with the way Tobey smiles at her, she’s willing to try. Release date: April 15, 2014. Add The Best Kind of Thief to Goodreads. I'm excited to share the cover of my next book with you all! The Best Kind of Thief will also be a novella and a series in the same form as the Summer Unplugged Series. If you would like to be the first to know when it goes on sale, please sign up for my mailing list here: https://tinyletter.com/AmySparling - You will ONLY get emails on release days, never any spam!